Who: The top 64 golfers in the world, including hometown hero and current world #1 Jordan Spieth, will be competing in Austin. Keep up with the latest rankings here, updated weekly. Tournament Format: The Championship Event will feature 16 groups of four players playing round-robin matches. Group selections will take place on Monday, March 21 at the Paramount Theatre and the top seeds will be selected based on the Official World Golf Rankings. Wednesday through Friday will feature 18-hole match play, then the winners of each group will advance to single-elimination play. 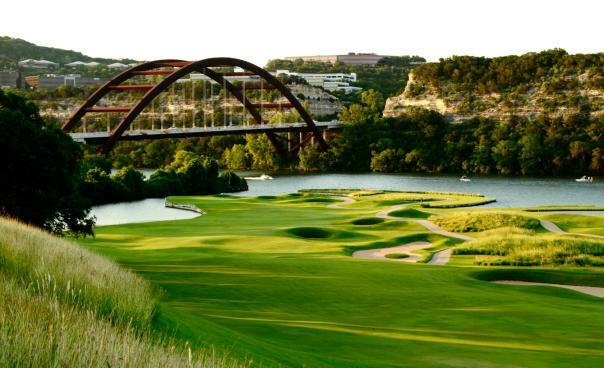 Dell Match Play Bracket Challenge: Join in the fun and test your PGA Tour knowledge by participating in the Dell Match Play Bracket Challenge. The further your picks advance, the more points you earn. Create or join a league, make your picks following the live draw show on the Golf Channel, keep up with the event throughout the week to see how your players fare! Live Draw Show: This unique event will take place in front of a live audience and will be broadcast on the Golf Channel from the historic Paramount Theatre. Top seeds are selected from the Official World Golf Rankings and the rest are chosen by a blind draw. Players will be on hand for reactions and interviews as well. Although tournament tickets are sold out, tickets to the live draw show are still on sale with all proceeds benefiting the Paramount Academy for the Arts through the Austin Theatre Alliance. Tickets start at $20 and can be purchased at www.austintheatre.org or by calling (512) 474-1221.